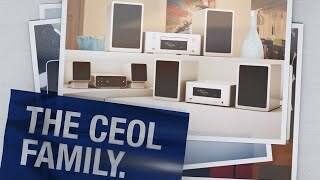 The next generation CEOL lifestyle Network CD Music System from Denon. Streaming high definition music from NAS (Network Attached Storage), computers, mobile devices and the internet, via Wi-Fi, Ethernet, Bluetooth® and USB, the CEOL also features Spotify® Connect, Internet radio and FM/AM radio, and CD player. All with a stunning new minimalist design, top panel controls and powerful new hi-fi speaker system. Yet all this cutting edge technology is brought together within a striking, compact new minimalist design, controlled by buttons incorporated into the sleek dual layer acrylic top-panel or an equally polished new App. 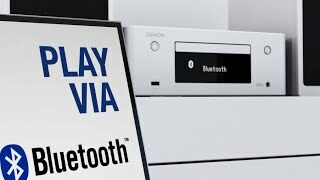 “performance is exceptional, producing a beautifully composed, room-filling sound that’s far greater than anything you'd expect from a unit this small"
T3 - "Need List - Stream Dream"
"Denon's original CEOL Network Hi-Fi wowed us back in 2011, and it's doing the same again with its CEOL N9, which includes support for streaming from just about every source you can imagine."